Although we began with just 40 traders, since then we have seen an explosion in activity of our platform: In the last 12 days, 127 unique numbers have sent 848 requests for information. Meanwhile of the 21 border reports submitted, 12 were positive, 9 were negative. Thanks to the Busia Women’s Cross-Border Trade Association, we also had the good fortune of capping off the week with a productive meeting with EAC, Kenyan, and Ugandan trade ministers and border officials as part of the Busia Joint Border Committee Meeting. 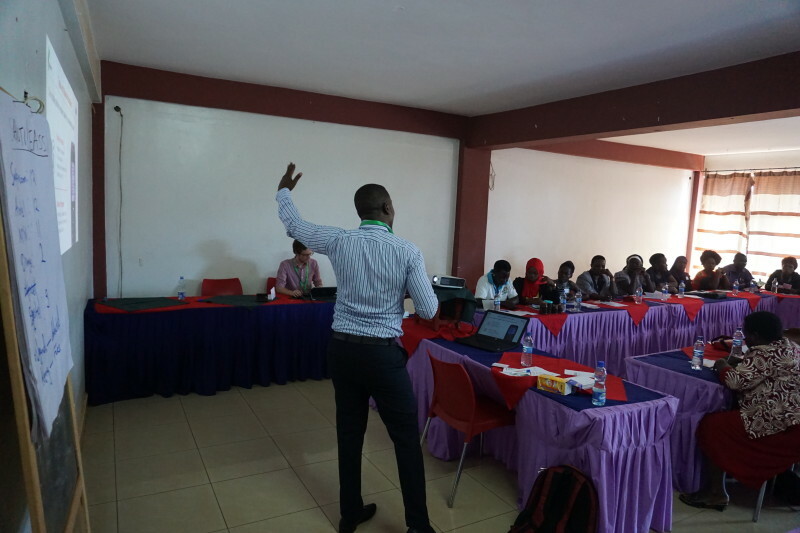 Though our platform is designed for simple and straightforward user interaction through USSD and SMS, through the two days’ training we wanted to ensure that the traders were well positioned to be our champion users. Over the next two weeks we will be observing closely how our initial cohort of traders are utilizing our platform, gaining consistent insight on our new technology through user analytics and follow up calls. We will also be returning to the border in July to host a feedback session with the traders and gather further input on how our platform is serving their information needs. We hope that through this participatory process we will create a mobile platform that is best suited to our users while ensuring our initial cohort is invested enough in our product to serve as advocates for future users. The soft launch is just the beginning of our journey. We look forward to further collaboration with the border agencies, trade associations, and civil society organizations as we prepare for our wider, official launch to traders at the Busia and Malaba borders. We are of course grateful to our partner EASSI, and our funders GIZ-EAC Incubator for Integration and Development in East Africa, the HiiL Innovating Justice Accelerator and D-Prize for helping us get to this far!